Participants at the international One Medicine One Science meeting explored interdisciplinary collaborations and global health solutions. Scientists, researchers, professionals, and government representatives from more than 35 countries gathered April 29-May 2 to explore new solutions to pressing global health issues and to promote interdisciplinary collaborations. 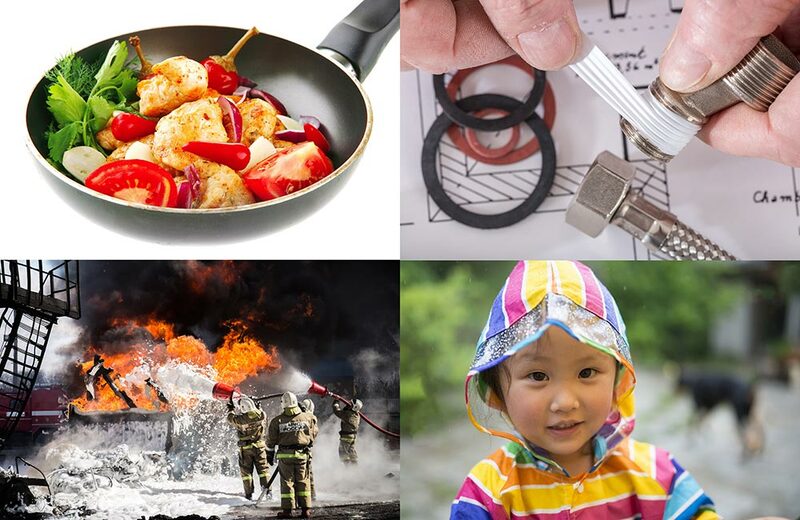 The One Medicine One Science (OMOS) consortium focuses on the science behind One Health, which is a strategy for expanding collaborations in all aspects of health for humans, animals, and the environment. 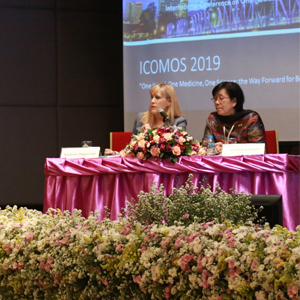 The Third International Conference on One Medicine One Science (iCOMOS), hosted by the University of Minnesota in Minneapolis, featured medicine, science, and health policy. 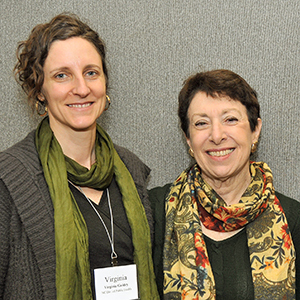 Heather Henry, Ph.D., a health administrator with the NIEHS Superfund Research Program (SRP), and NIEHS health science policy analyst Kimberly Thigpen Tart, J.D., served on the planning committee. 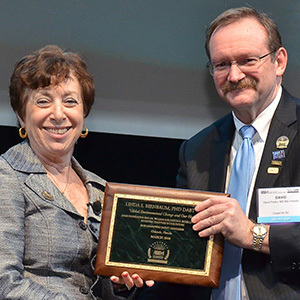 NIEHS and National Toxicology Program Director Linda Birnbaum, Ph.D., gave a keynote lecture on the intersection of environment and health, from ecosystems to communities to the microbiome. Her talk led into a panel session in which global thought leaders and distinguished scientists focused on new approaches to exploring human health aspects of One Health. During the panel discussion, Nobel Laureate Peter Agre, M.D., expressed frustration that he often becomes lost in the first five minutes of a scientific presentation. His point resonated strongly with the audience and underscored the importance of training in clear communication. “When an accomplished Nobel Laureate admits to having difficulty following scientific presentations, it reminds us how important it is to deliver science in a way that is understandable for diverse audiences and stakeholders,” said Henry. NIEHS grantee Maureen Lichtveld, M.D., from Tulane University, shared her experience communicating with residents in Suriname about mercury levels in fish and how to reduce exposure. The panel agreed that to reduce confusion and frustration, communication should be simple and easy to act on. Panelists further discussed research on chronic diseases linked to environmental contaminants and other stressors. Frank von Hippel, Ph.D., from Northern Arizona University, conducts NIEHS-funded research with members of the Yupik tribe in Alaska, using multidisciplinary team science approaches. Genes related to the endocrine system are similar in humans and in fish, he said, so studying genes in fish can help scientists understand human disease. Nishad Jayasundara, Ph.D., from the University of Maine, studies chronic kidney disease of unknown origin in Sri Lanka. His team is comparing water sources and geographic locations among individuals with and without the disease. The team collects and analyzes zebrafish from local lakes to identify genetic markers of kidney damage. Jayasundara, who is a former postdoctoral researcher with the Duke University SRP Center, said his goal is to pinpoint areas with higher risk, uncover contributing factors, and inform prevention strategies. Henry and Thigpen Tart chaired a session with colleagues at the National Institute of Allergy and Infectious Diseases (NIAID) that explored OMOS approaches to complex human health issues. Focusing on the Zika virus as an example of a disease that can be transferred from animals to humans, grantees of the two institutes reflected that more bioinformatics research should be included in OMOS to leverage abundant data and electronic records. Jose Cordero, Ph.D., from the University of Puerto Rico, said SRP-funded research on the island laid the groundwork for researchers to hit the ground running with new funding from the National Institutes of Health (NIH) as a Zika in Infants and Pregnancy study site. He pointed out opportunities for public health interventions, such as family planning to reduce Zika transmission among pregnant women. Thigpen Tart moderated a panel that highlighted NIH resources, programs, and tools. Speakers included representatives from NIEHS, NIAID, and the National Library of Medicine (NLM). NIEHS Senior Advisor for Public Health John Balbus, M.D., described NIEHS programs that offer unique research and outreach opportunities overseas. For example, global environmental health initiatives recognize the strong connection between animal and human health in many developing countries. 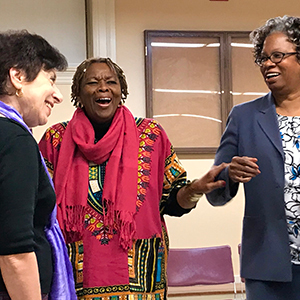 Yaffa Rubinstein, Ph.D., described how NLM works to support ever-evolving data science needs, including innovative ways to share data and biological samples with collaborators around the world. Henry and NIAID staff described relevant funding opportunities and best practices for applicants, and talked one-on-one with audience members.